We Can't Get You Away From It All, But We Can Get You Started. 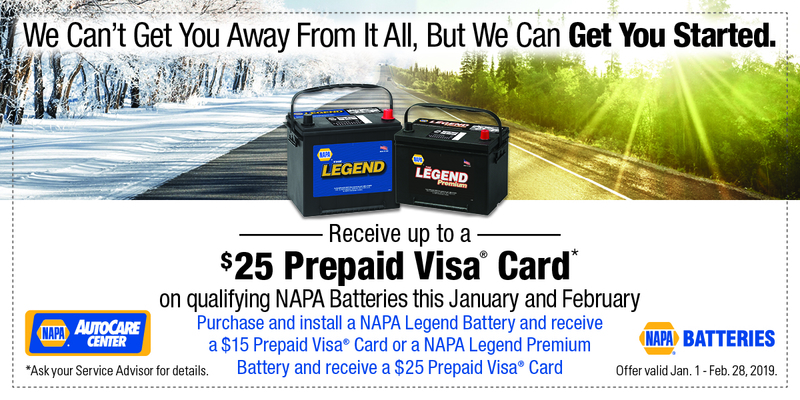 Receive up to a $25 Prepaid Visa® Card on qualifying NAPA batteries this January and February. *Offer valid January 1 – February 28, 2019.